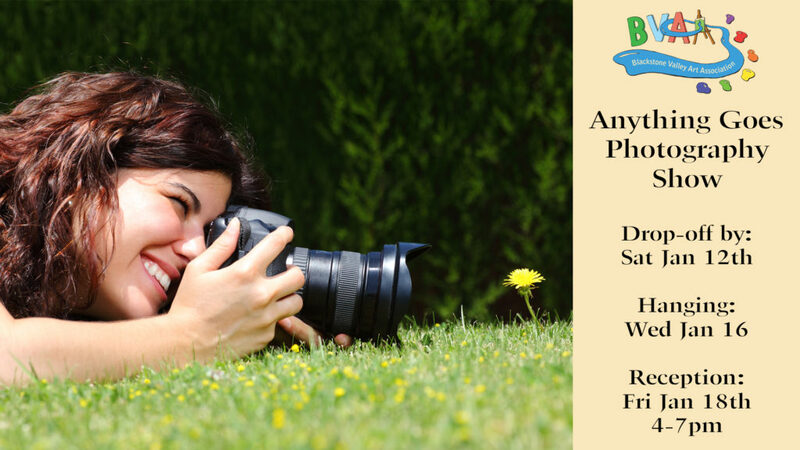 The Blackstone Valley Art Association is sponsoring the “7th Annual Anything Goes Photography Show” – this show is open to the public! All styles of cameras and cellphone images are warmly welcome! Participation is open to the public. Each participant may exhibit up to two photos. These will be judged for cash prizes. The entry fee for the main show, open to all styles of photography, is $15/2 pieces for BVAA members and $20/2 pieces for non-members. The theme is wide open. You can submit a portrait, landscape, still life, abstract, seascape, you name it. Your imagination is the limit. All photos which are entered are hung. There is no “pre-selection” process where some are accepted and others are rejected. If you submit artwork, and it is family-friendly and wired properly, it will be part of our show. You can have your photo listed with a price for sale, or you can have it Not For Sale if you wish. To submit your entries use our BVAA Online Submission Form. The deadline to submit is midnight on Saturday, January 12th, 2018. Work must be dropped off by Saturday, January 12th, 2019 at 3pm. All work which is brought in will be hung (as long as it is properly wired and is family-friendly). We will hang the show on Wednesday January 16th. The opening reception for the show is Friday, January 18th, 2019 from 4-7pm. Invite family and friends – all are welcome! Be sure to come out to our reception to see the film cameras in person! If you can’t make it then, we have full-page informational sheets next to each film photo to explain how they were taken and to talk about the cameras used. A warm thank you to Old School Photo Lab for all their support. 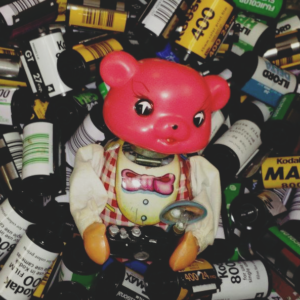 They do amazing work with film of all kinds – they’re highly recommended! We’ll let you know as soon as we figure out how we’re going to handle this portion of the show. Saturday, February 23rd, 2019, from 10am to 3pm. If you aren’t able to make that, please contact us for other arrangements. Here are photos from the reception!